Hof van Delft is a popular and highly populated district with many low-rise buildings and little flats. The neighborhood is mostly built before World War II. Despite differences in architectural styles between neighborhoods, the neighborhood is a decent unit. Regarding the population structure Hof van Delft is a relatively young neighborhood with lots of twenty-somethings and young families. In total there are nearly 13,000 people in the district. There are few people with a non-Western ethnicity. In total there are more than 6,700 units in the district. Of this, 40% owned by the residents themselves. The family home is by far the most common. The location of the neighborhood is conveniently on the edge of downtown, close to the station. Living on the edge of downtown has many advantages: the many restaurants, cafes and shops are within easy reach. But it also has a downside: the parking is regulated in a large part of the district by means of permits. The accessibility is optimal. There are several roads that ensures that residents are in a short time on the highway to Amsterdam, Rotterdam and Westland. Because the central station of Delft is situated on the edge of the neighborhood accessibility by public transport is very good. There are trains, trams and buses. The total number of reports in Hof van Delft has declined steadily in recent years. When you compare the safety of the Hof van Delft with other districts only Tanthof and Voordijkshoorn score better. The presence of schools is associated with some disturbance of the students. The sense of security in the district is very high. Over 90% of residents feel safe. Green quiet area near the cozy center of Delft. The Wilhelmina Park and Sportfondsenbad are in the immediate vicinity. Recreation "Hof van Delft" is within walking distance of the neighborhood. Hof van Delft is a popular area where relatively many people in their twenties and young families live. 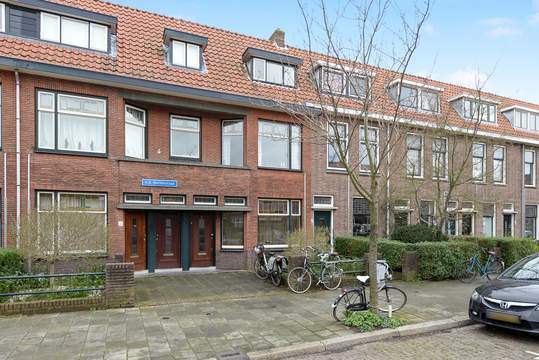 The neighborhood is also very attractive because of its convenient proximity to the city center and Station Delft. Hof van Delft is a densely populated area and is largely built before the war. In the district there is relatively little public green space and water. However, there are many facilities. The Agnetapark and Wilhelmina are important green areas for the neighborhood. Within walking distance (10-15 minutes) are all the amenities of the city center, such as cinemas, theaters and restaurants. Characteristic of the area are the many educational facilities. Besides a number of primary schools, three schools for secondary education are located in the district. The district has several neighborhood shopping centers. The district is also located right next to the center of Delft with its many large and small shops. Hof van Delft is located near the bus and railway station Delft Centre. Various buses run through the neighborhood. Tram 1 (Delft Tanthof -den Haag-Scheveningen vv) has several stops at the edge of the neighborhood. Rented under reservation € 1.195 per month ex.